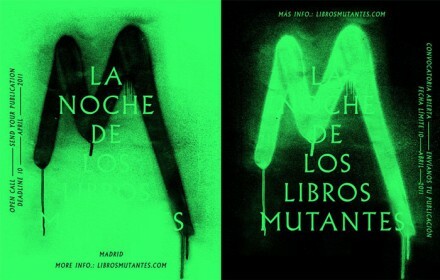 April 27th, 2011 will be La Noche de los Lib­ros Mutantes, and you’re invited to become a part of it…The people of Los Lib­ros Mutantes will cre­ate an install­a­tion at La Casa Encendida. There­fore they need lots of magazines and pub­lic­a­tions. If you want to join this mutant inva­sion, you have to send two paper cop­ies of your pub­lic­a­tion until April 10th, 2011. If you want to sell your zines at one of their con­trib­ut­ing spaces write them an email.